Brigadier General Calvin Elam was born in Greenwood, South Carolina. He enlisted in the U.S. Air Force in 1980 and remained on active duty until 1986. He joined the South Carolina Air National Guard in 1986, and became a commissioned officer two years later after graduating from the Air National Guard’s Academy of Military Science. While serving his country, Elam also earned a Bachelor of Science degree from the University of South Carolina’s Darla Moore School of Business in Marketing, and graduated from the United States Air Force’s War College. 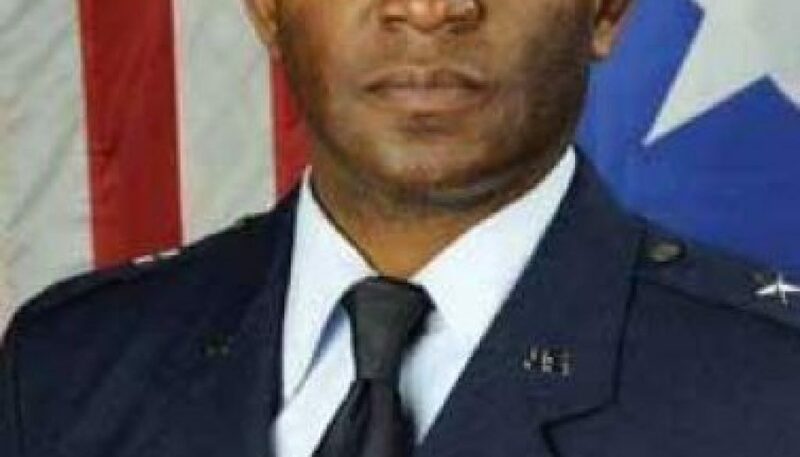 He became the first African American to be promoted to the rank of General in the South Carolina National Guard and served as Assistant Adjutant General for Air at McEntire Joint National Guard Base in Eastover, South Carolina. He commanded more than 1,500 base personnel and 24 F-16CJ fighter jets and received several military awards for outstanding achievement, including the Legion of Merit, the Meritorious Service Medal, the Air Force Commendation Medal, the Air Force Achievement Medal, the National Defense Service Medal, the Global War on Terrorism Medal and the Palmetto Cross (the state’s highest military award). Elam currently serves on or has served on the Palmetto Health and the Palmetto Richland Memorial Hospital Board of Trustees and Claflin University Board of Trustees. In 2013, he was named Distinguished Trustee of the Year by the SC Hospital Association. He is CEO and Senior Financial Consultant of Elam Financial Group and the author of Self-Reliance: What Do You Mean You Didn’t Know’ Elam is a member of Brookland Baptist Church in West Columbia, SC, where he serves on the Board of Trustees. He and his wife Mary Elam have three children — April, Erin and Forbes.